Recognize, count, and compare numbers with soft, plastic Counting Cookies™. 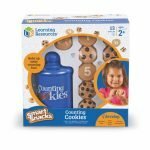 Includes 11 new, freshly designed cookies with numbers 0-10 on the bottom and the corresponding numbers of the counting chips on the top. 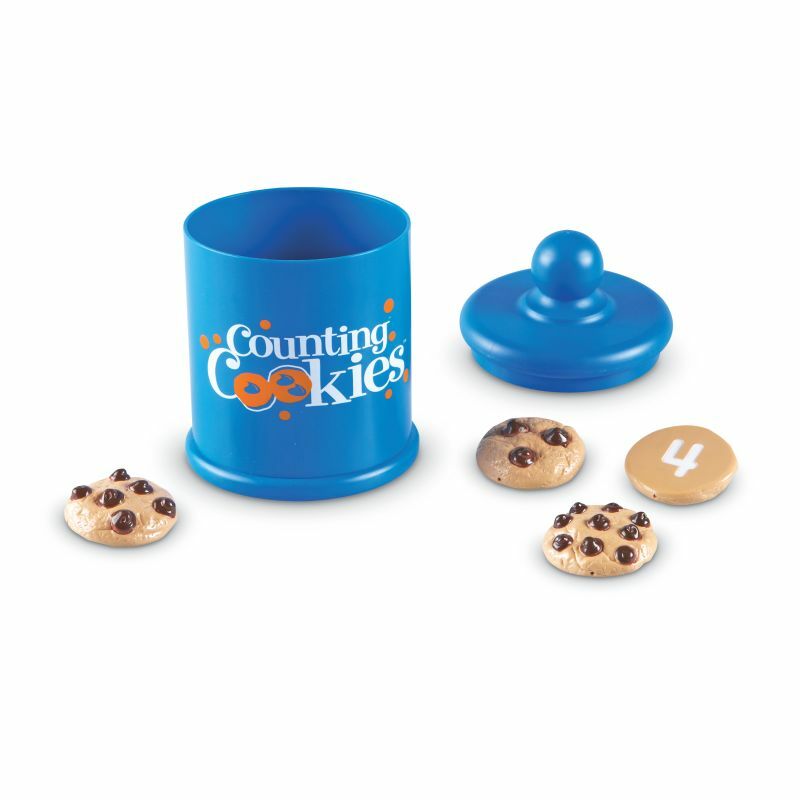 Cookies measure 1¾” in diameter and come in a sturdy plastic cookie jar measuring 6½”H.